What a strange year. 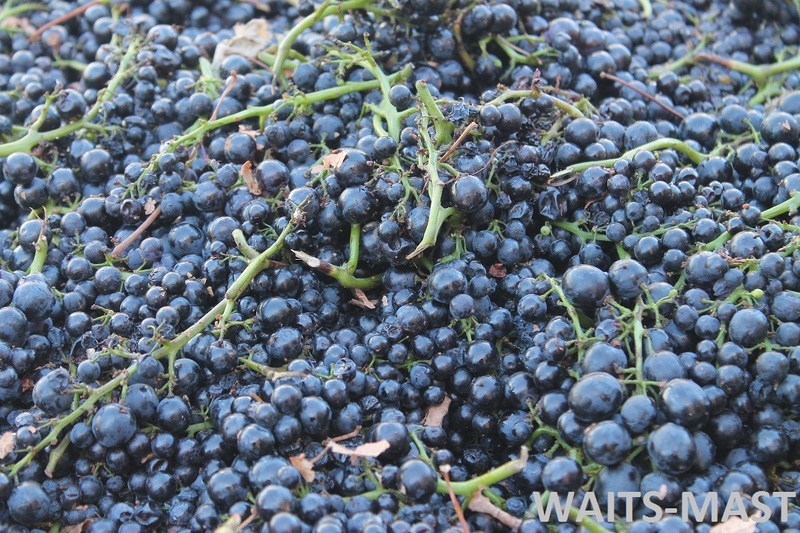 The first Waits-Mast Family Cellars harvest for the 2017 vintage was on September 15 and then we ended up with an 11 day break, while waiting for fruit to develop further. On September 26, we brought in Pinot Noir and Sauvignon Blanc from Mariah Vineyard in Mendocino Ridge. Two days later, we were done; with Pinot Noir picks from Oppenlander Vineyard and Nash Mill Vineyard arriving in the winery on September 28. 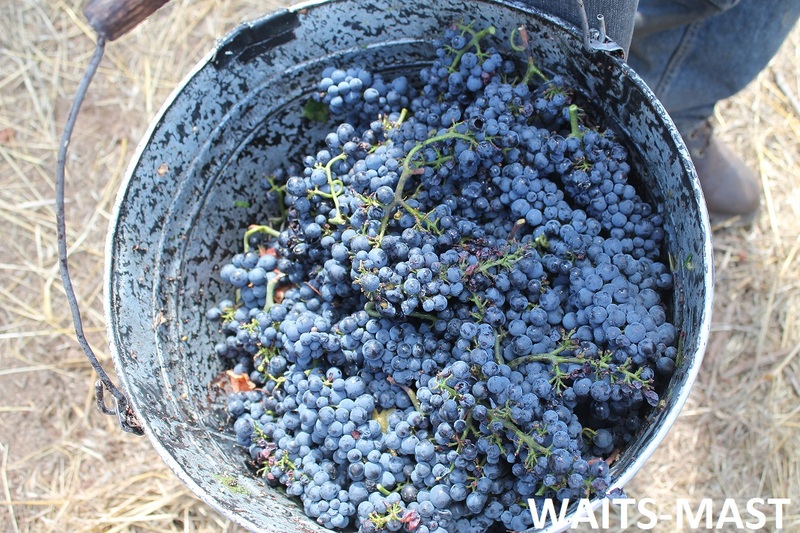 At last, 2017 harvest is underway for Waits-Mast Family Cellars, as our first pick of the season took place at Wentzel Vineyard on Friday, September 15. It’s been a weird few weeks of weather and due to high temperatures, many of our winery friends are much further along with their harvests; some have picked fruit from all of their vineyards already. Our house is finally cooling down to the 70s after several weeks of hot September weather in San Francisco. It has been much the same up in Mendocino County, although there are already signs of fall, with a smattering of leaves starting to change color in the vineyards. On Thursday we had another Waits-Mast fruit pick, this time some Pinot Noir grapes from Mariah Vineyard in Mendocino Ridge. It was a jam-packed day at the winery (we make our wine at Roar Wines in San Francisco) and a particularly hectic day for our winemaker. She awoke in the wee hours for a grape pick for another winery (complicated by a tree falling in the vineyard too!) and spent the day sorting that fruit and doing other harvest work. She wrapped up in time to brave rush hour traffic, meeting us at our San Francisco facility by about 6pm. We are just back from a long weekend in Mendocino/Anderson Valley for several Winesong-related tasting events. It’s also the thick of harvest, which necessitated a few vineyard visits as well as picks at another two. Meanwhile, Brian celebrated a milestone birthday, so we tried to squeeze in some cake amid all of the wine work. 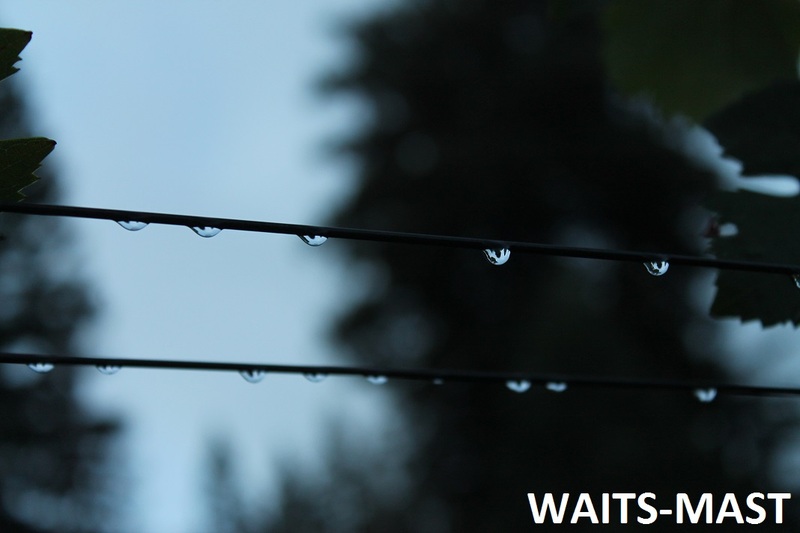 Within 10 days of the start of the Waits-Mast 2015 harvest, we are now 3/5th of the way through our picks. Mariah Vineyards in Mendocino Ridge was harvested on Sunday night and vineyard owner Dan Dooling hand-delivered the beautiful fruit to us in San Francisco yesterday morning before things really heated up in the city. 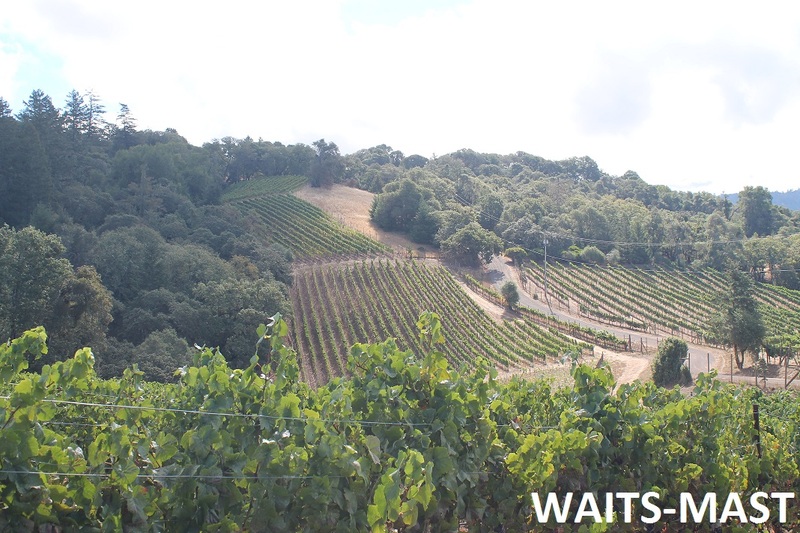 On Saturday, August 29 we got up bright and early and headed over to the Wentzel Vineyard in Anderson Valley for the first Waits-Mast Family Cellars pick of the year. A small amount of rain fell as dawn approached and the sky was still shrouded in fog. The vines glistened with tiny rain drops and just after sunrise, workers were in the fields harvesting grapes. We’ve never picked that early from that vineyard and it’s the first time that Waits-Mast has ever harvested in August. 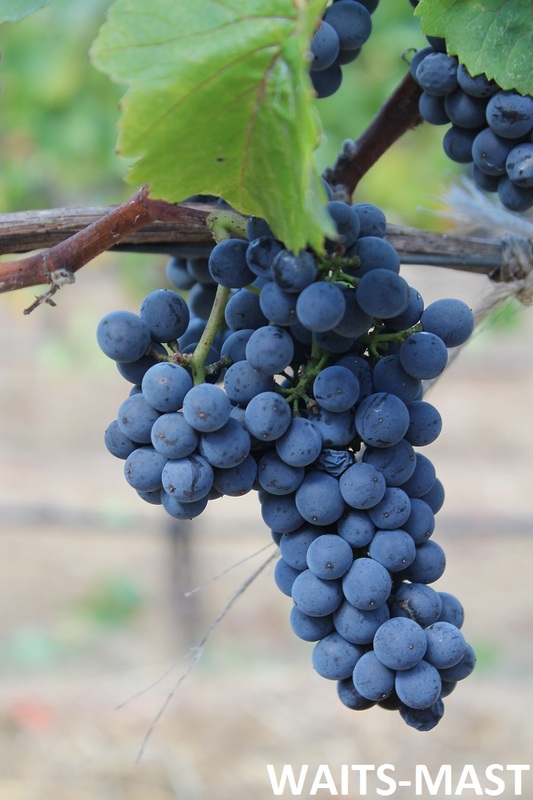 Every year our picks seem to be getting earlier and earlier and many of our growers and winemaking friends in California are reporting that the 2015 harvest seems to be about a week earlier than last year. So far that is ringing true for us, with our Wentzel Vineyard pick this year occurring 5 days earlier than in 2014. For comparison, we picked Wentzel fruit on September 24 in 2012 and on September 8 in 2013. On Wednesday, our fruit was harvested at Deer Meadows Vineyard (also in Anderson Valley), exactly a week earlier than in 2014. Looking through our records, it’s a bit of a shock to see that back in 2012, we picked Deer Meadows on September 24 and in 2013 we picked on October 10th. Sometimes vineyards in nearby locations seem to track with each other as far as ripening and pick dates, but, as we saw in 2013, there are oddball years where our expectations about the order that our vineyards will be picked are completely blown by what we actually see and taste on the vines.